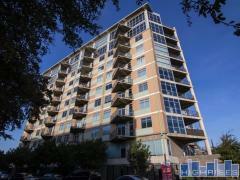 Gold Crest Condos in Dallas, TX | 3601 Turtle Creek Blvd. Designed by George Dahl, The Gold Crest is one of the most architecturally significant buildings on Turtle Creek Boulevard. The building features wrap-around terraces, walls of windows and Downtown and Turtle Creek views. Building amenities include concierge service, valet, a guest suite and pool. If you love mid-century modern design, the Gold Crest should be the top of your list. Have any comments or questions about Gold Crest Condominiums? Ask your question and/or share your thoughts about this Building.